Victor Rios grew up in the ghetto of Oakland, California, in the 1980s and '90s. 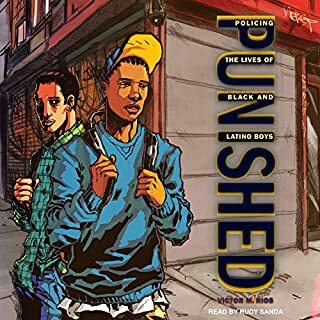 A former gang member and juvenile delinquent, Rios managed to escape the bleak outcome of many of his friends and earned a PhD at Berkeley and returned to his hometown to study how inner-city young Latino and African American boys develop their sense of self in the midst of crime and intense policing. Punished examines the difficult lives of these young men. Class does make a difference in the lives and futures of American children. 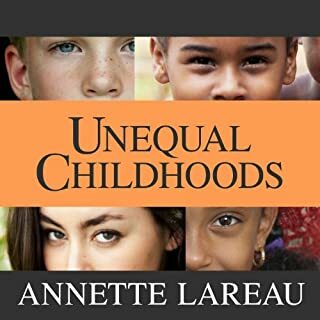 Drawing on in-depth observations of black and white middle-class, working-class, and poor families, Unequal Childhoods explores this fact, offering a picture of childhood today. Here are the frenetic families managing their children's hectic schedules of "leisure" activities; and here are families with plenty of time but little economic security. In the fall of 1999, New York Times education reporter Jacques Steinberg was given an unprecedented opportunity to observe the admissions process at prestigious Wesleyan University. Over the course of nearly a year, Steinberg accompanied admissions officer Ralph Figueroa on a tour to assess and recruit the most promising students in the country. 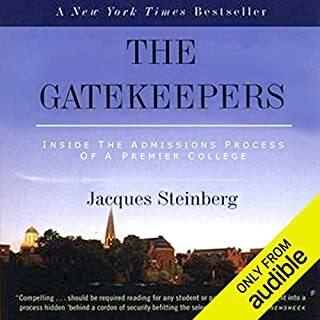 The Gatekeepers follows a diverse group of prospective students as they compete for places in the nation's most elite colleges. Sociologist Margaret A. Hagerman zeroes in on affluent white kids to observe how they make sense of privilege, unequal educational opportunities, and police violence. 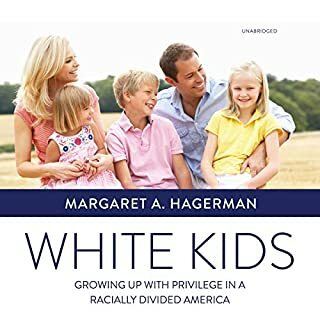 In fascinating detail, Hagerman considers the role that they and their families play in the reproduction of racism and racial inequality in America. White Kids, based on two years of research involving in-depth interviews with white kids and their families, is a clear-eyed and sometimes shocking account of how white kids learn about race. Coming of Age in the Other America shows that despite overwhelming odds, some disadvantaged urban youth do achieve upward mobility. 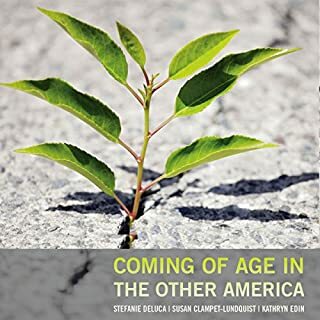 Drawing from 10 years of fieldwork with parents and children who resided in Baltimore public housing, sociologists Stefanie DeLuca, Susan Clampet-Lundquist, and Kathryn Edin highlight the remarkable resiliency of some of the youth who hailed from the nation's poorest neighborhoods and show how the right public policies might help break the cycle of disadvantage. Americans are taught to believe that upward mobility is possible for anyone who is willing to work hard, regardless of their social status. Yet it is often those from affluent backgrounds who land the best jobs. 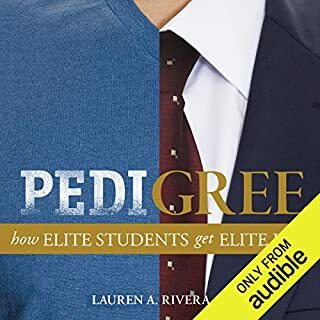 Pedigree takes listeners behind the closed doors of top-tier investment banks, consulting firms, and law firms to reveal the truth about who really gets hired for the nation's highest-paying entry-level jobs, who doesn't, and why. It's the American dream: get a good education, work hard, buy a house, and achieve prosperity and success. This is the America we believe in - a nation of opportunity, constrained only by ability and effort. But during the last 25 years we have seen a disturbing "opportunity gap" emerge. Americans have always believed in equality of opportunity, the idea that all kids, regardless of their family background, should have a decent chance to improve their lot in life. From TV's Real Housewives to The Wolf of Wall Street, our popular culture portrays the wealthy as materialistic and entitled. But what do we really know about those who live on "easy street"? In this penetrating book, Rachel Sherman draws on rare in-depth interviews that she conducted with 50 affluent New Yorkers - including hedge fund financiers and corporate lawyers, professors and artists, and stay-at-home mothers - to examine their lifestyle choices and their understanding of privilege. This classic text addresses one of the most important issues in modern social theory and policy: how social inequality is reproduced from one generation to the next. With the original 1987 publication of Ain’t No Makin’ It Jay MacLeod brought us to the Clarendon Heights housing project where we met the "Brothers" and the "Hallway Hangers". Their story of poverty, race, and defeatism moved listeners and challenged ethnic stereotypes. Drawing on more than a decade of research and hundreds of interviews, Robert Wuthnow brings us into America's small towns, farms, and rural communities to paint a rich portrait of the moral order -the interactions, loyalties, obligations, and identities - underpinning this critical segment of the nation. Wuthnow demonstrates that to truly understand rural Americans' anger, their culture must be explored more fully. Moving beyond simplistic depictions of the residents of America's heartland, The Left Behind offers a clearer picture of how this important population will influence the nation's political future. A riveting, groundbreaking account of how the war on crime has torn apart inner-city communities. Forty years in, the tough-on-crime turn in American politics has spurred a prison boom of historic proportions that disproportionately affects black communities. It has also torn at the lives of those on the outside. As arrest quotas and high-tech surveillance criminalize entire blocks, a climate of fear and suspicion pervades daily life, not only for young men entangled in the legal system but for their family members and working neighbors. The leisure class has been replaced by a new elite. Highly educated and defined by cultural capital rather than income bracket, these individuals earnestly buy organic, carry NPR tote bags, and breast-feed their babies. They care about discreet, inconspicuous consumption. In The Sum of Small Things, Elizabeth Currid-Halkett dubs this segment of society "the aspirational class" and discusses how, through deft decisions about education, health, parenting, and retirement, the aspirational class deepens the ever-wider class divide. As one of the most prestigious high schools in the nation, St. Paul's School in Concord, New Hampshire, has long been the exclusive domain of America's wealthiest sons. But times have changed. Today, a new elite of boys and girls is being molded at St. Paul's, one that reflects the hope of openness but also the persistence of inequality. 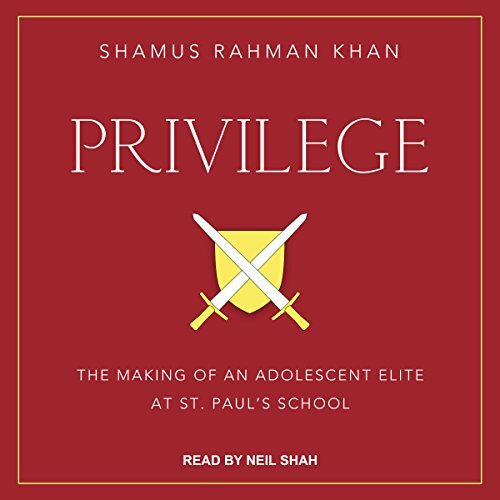 In Privilege, Shamus Khan returns to his alma mater to provide an inside look at an institution that has been the private realm of the elite for the past 150 years. He shows that St. Paul's students continue to learn what they always have - how to embody privilege. Yet, while students once leveraged the trappings of upper-class entitlement, family connections, and high culture, current St. Paul's students learn to succeed in a more diverse environment. To be the future leaders of a more democratic world, they must be at ease with everything from highbrow art to everyday life - from Beowulf to Jaws - and view hierarchies as ladders to scale. Through deft portrayals of the relationships among students, faculty, and staff, Khan shows how members of the new elite face the opening of society while still preserving the advantages that allow them to rule.